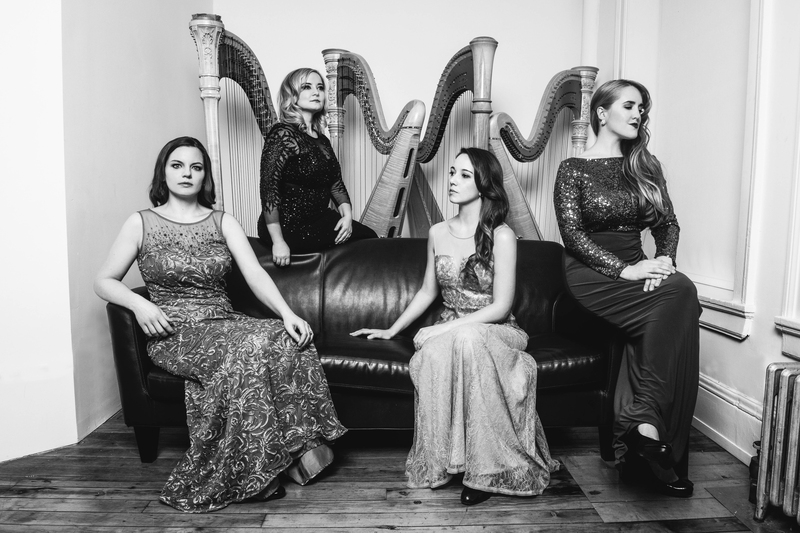 Founded in 2012, the Chicago Harp Quartet has quickly established itself as the leading harp ensemble in the United States. Widely regarded as a Chicago treasure, the Quartet has dedicated itself to presenting innovative, charismatic and forward-thinking programs that include original transcriptions as well as new commissions from composers across the globe. The Quartet has performed at major concert venues across the US and abroad including Carnegie Hall, the Kennedy Center, Curtis Institute of Music and the National Theater in Havana, Cuba. As part of CHQ’s mission, the ensemble collaborates with other cutting edge artists including Third Coast Percussion, International Chamber Ensemble, Mozawa, and Ho Etsu Taiko and continues their educational endeavors as instructors for the Chicago Harp Ensemble, as well as presenting educational residencies at institutions including Indiana University’s Jacobs School of Music, New York University, Vanderbilt University and Play On Philly! Members of the Chicago Harp Quartet have performed with some of the world’s greatest orchestras including the Chicago, San Diego, St. Louis, Sydney, Tasmanian and Toronto Symphony Orchestras as well as the Lyric Opera of Chicago. CHQ has performed several LIVE! concerts on WFMT Chicago, at the Lyon & Healy 150th Anniversary Festival and 2015 Summer Concert Series, 41st National Conference of the American Harp Society in New Orleans, Norton Building Series, Dame Myra Hess Concert Series at the Chicago Cultural Center and Ear Taxi Festival. Among ongoing commissioning projects, the Quartet has premiered works by Bernard Andres, Nicholas Davies, Alfredo Rolando Ortiz, Carolyn O’Brien and Hilary Purrington. In 2014, the Quartet released their highly successful debut CD, Soirées d’été. Upcoming engagements include the quartet’s debut at the Ravinia Festival and the release of their second album, Dance Sketches. CHQ is proud to be on the highly acclaimed touring roster of Allied Concert Services and will perform an extensive tour of the Midwest in Spring 2017 and 2019.